Dimelo is a social CRM platform. 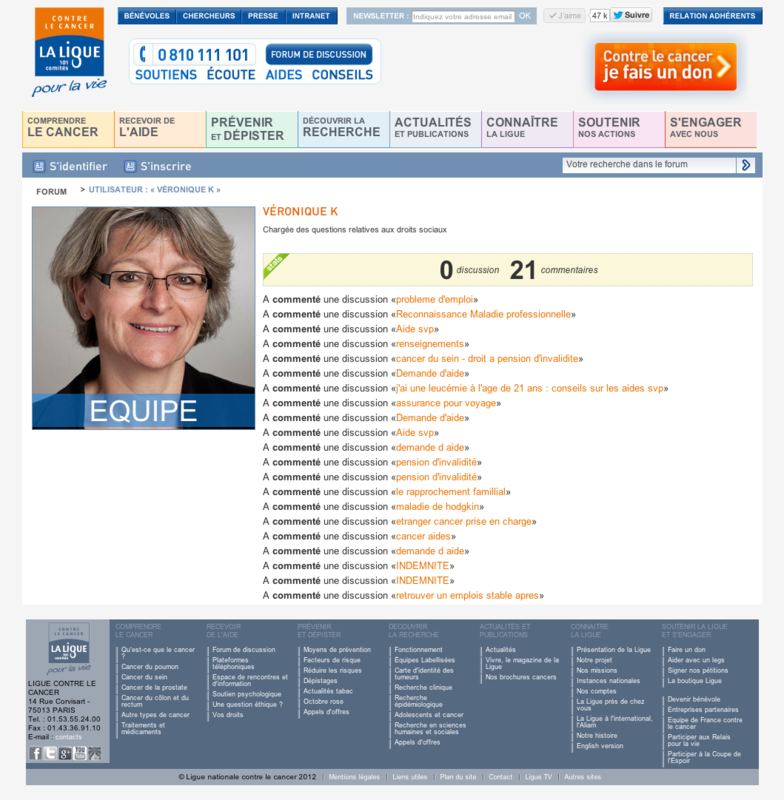 They provide a naked version of the website, and the Agency designs the UI. Working with PSD layouts, we had to slice, cut, patch, style the naked platform. 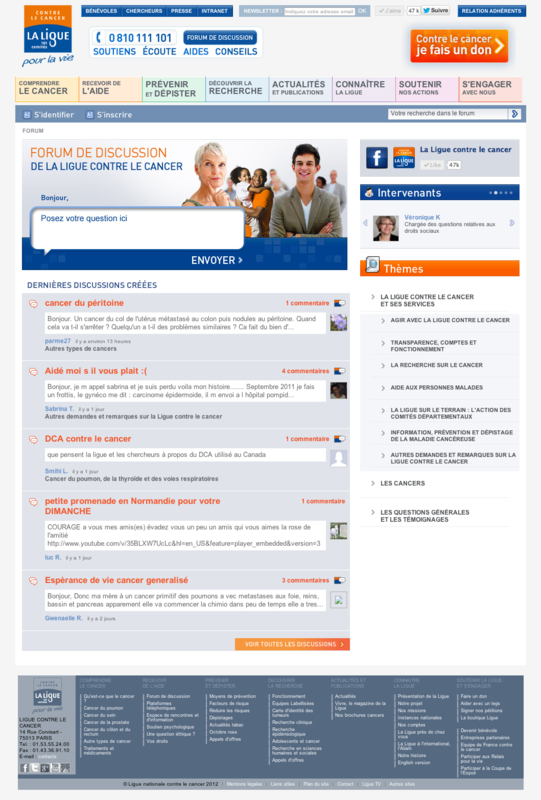 One year after the launch, the French cancer foundation had a nice and useful forum, with thousands of messages and very active community.